More and more gyms and athletic facilities are being put on higher stories. Because ECORE manufactures leading brands in both athletic sports surfacing (everlastsportssurfacing.com) and acoustic underlayments (qtsoundcontrol.com), we’re a logical company to turn to for a solution when the dropping of free weights and rhythmic impacts of treadmills become bothersome to adjacent tenants. Because lightweight construction is so prevalent, there are going to be instances in which there is a structural incompatibility and no superficial floor treatment will sufficiently mitigate the low frequency sound and vibration problems at hand. (Click here for a list of professionals who can help). Historically, the ideal solution was to build a floating floor such as the one detailed below (from M. David Egan, Architectural Acoustics), but we work with a lot of customers who want another option whether it’s due to cost or other preferences. We decided to run some field tests with our existing products. One product that always had a lot of potential to handle significant impacts was our 2.5″ thick molded tile, so this is where our journey towards a better solution began. Results have been promising, but we couldn’t ignore the fact that these tiles were designed for lighter use- not the impact of a 100-lb kettle bell at a crossfit gym! So we’ve been tweaking it and we’ve modified some accessories to help it handle more extreme impacts. We are still in the process of field testing some test installations, but here is some data from a few field tests we’ve already conducted. 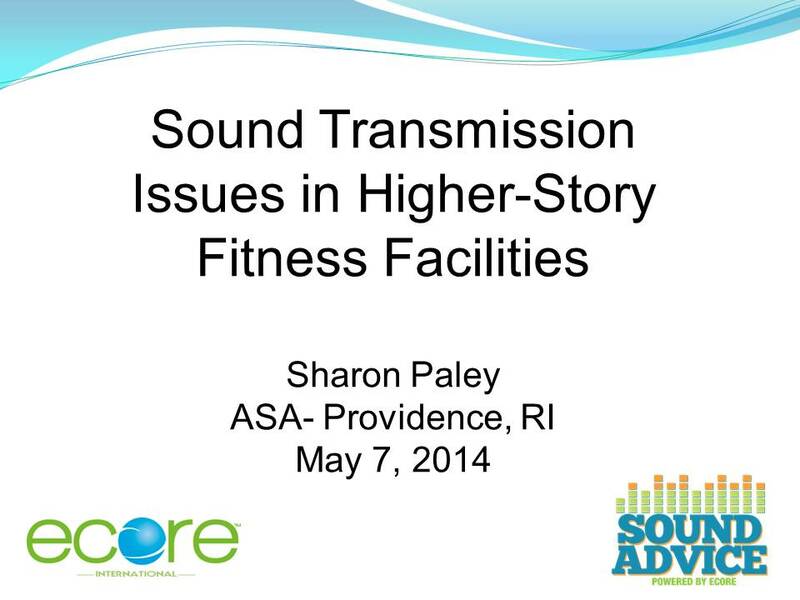 All field tests are conducted by independent, third-party acoustic consulting professionals. Their participation in these field tests should not be taken as an endorsement of the product. Field Test #1 at a gym in Toronto, Canada. Testing conducted by HGC Engineering. 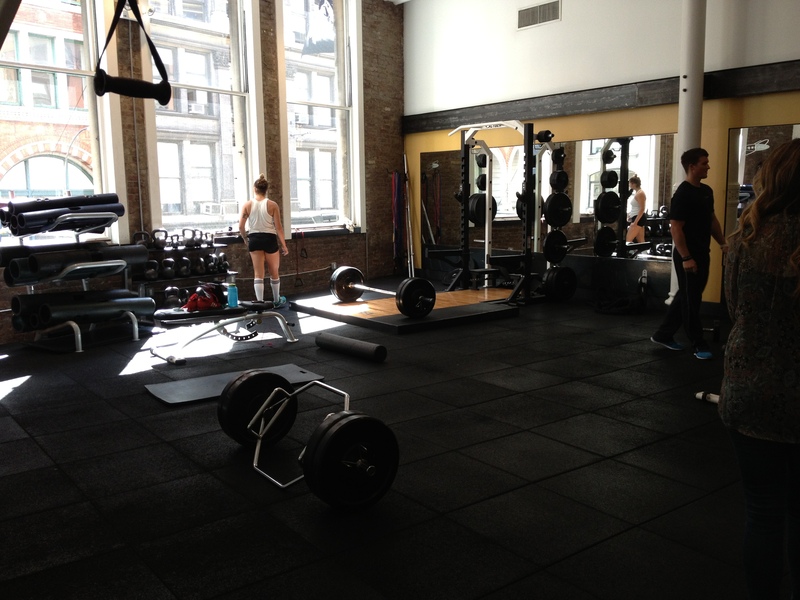 Field Test #2 at a different gym in Toronto, Canada. Testing conducted by HGC Engineering. Field Test #3 at a gym in Omaha, Nebraska. Testing conducted by The Sextant Group. While the single number dB improvements are helpful, I find it particularly useful to see the entire sound spectrum in graphical form, as it allows one to better understand what is really happening to the sound energy. We hope you’ve found this information helpful. If you’d like more information about this product, please click here to contact your nearest regional sales manager or leave a comment and I’ll get back to you myself. Has this become a product yet? My business located next to a crossfit gym. We did not realize that crossfit involves dropping weights (shame on us). However, we are working with the building owner to find a solution and this looks ideal. Has this testing resulted in a product yet? I wanted to find out if this is a product that is available yet. Can samples of these tiles be ordered for testing? Please let me know if you are still pursuing this product development, or have developed it for sale.